The difference between quality estate hunts and free range/public land hunting is simply management and quality. 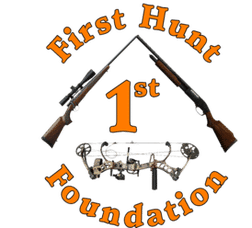 This Wisconsin whitetail deer hunting ranch encompasses over 800 acres of hardwoods, evergreens scattered with food plots of Canola, purple top turnips, Chicory, rye, sweet clover, peas & oats. This estate hunt is a great way to spend quality time with family, friends, or even corporate excursions. Whether you like big typicals or non-typicals with lots of trash, this is the estate hunt for you. After you’re day of hunting, return to the lodge, which doubles as the owners home. Hunters will have a full walkout basement all to themselves with 4 bedrooms (sleeps 6), bathroom, living room, pool table and dart board. Meals are served family style on the main level of the lodge. In the evenings, relax in the lodge or light a campfire in the yard. Groups of 3-5 hunters can book the entire ranch if they wish for a private hunt. If you’re an archery hunter, you can also sight in your rifle or bow in their private, covered shooting range. You can even enjoy a round of trap.